I have worked in the video game industry at large studios for 13 years. Recently, I left my job at Disney to pursue my desire to make my own games. I come from an artist background in the industry and have been learning C# the past year. I worked on Welcome to the Game II with Reflect studios, then went on to start DarkStone and focus on my own projects. The Subject is DSD's flagship title and I am excited to finally be working in, what I feel, is one of the largest highlights of my career. I know! I didn't write one last week... I only did the video diary. Sorry about that but the reason is good! (There is a video roundup for this week too though) There has been A LOT that I have been working on and some great things to come for the Subject. Next is a new Trailer to go with the update to the steam page. You can find it there but I will tack it here too. As I mentioned, I am working heavily on the ending of the game right now which, obviously, I don't want to give away. So I wont be streaming very much on Mixer or Twitch until probably after DreamHack. Very soon I will be ramping up social events and moves to get content creators to stream the game. I will be holding a few social event giveaways for free copies of the game and I have created a form for content creators to get a hold of a few keys to play and do giveaways themselves. If you are a content creator and would like early access to the game and have two extra codes to give away, just fill out the form here: Goo.gl Keys will be given out before the game launches and will be based on the information provided. Awesome stuff is happening in the next month as The Subject has been selected by the DreamHack team to appear at DreamHack Atlanta November 16th through the 18th! What about the actual Game!? Oh, right. A lot of work has been done. I'm focusing heavily on the first play session a new player at the DreamHack booth might have. Focusing on polishing the tutorial the start of the first few minutes of the core game. 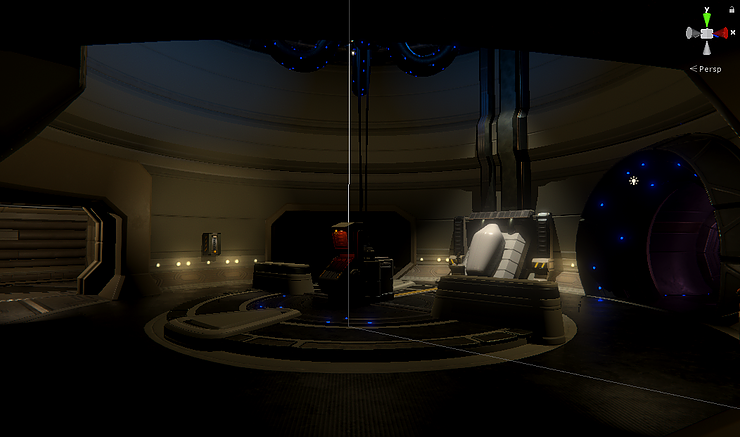 Lots of changes to lighting, some performance tweaks, and adding in some more of the creepy elements. New rooms are being added and prop passes are being made. I'm finally heading into the home stretch. There is still a lot of work to do but it's a lot of work to make the game more pretty and creepy. The final puzzle and the ending are still needing to be done but things are really heading in a good directly. I should hit my November launch I believe, however, I don't have an exact date nailed down but probably more towards the end. DreamHack will be taking up a chunk of time so I am always cautious. Hope to see you on the live streams and also at DreamHack! The Subject - weekly Round-up 10/16The past week has been full of potential hurricanes, sickness and, my anniversary so life took a minor hold on development. However, I have managed to work on a few things. I didn't get to stream on Mixer or Twitch very much last week but I did continue to work on a few things that I don't want to be public in terms of puzzles, how to solve them, etc. so it was actually somewhat helpful to work on things off stream. Part of the super secret work was adding more puzzles. I don't want to add more just for the sake of trying to bloat the game with random content so what I am adding currently will be the last puzzles. I am almost done with the new puzzle work which will let me move on to the end game puzzle then polish. So the end is in sight but that last 10% can take a very long time. I want everything to flow well and feel like a tight experience. I still have lots of props to make and some variants of maze halls, lighting, material work, optimization passes, save system, sound work, and more. That's a lot but it is much more quantifiable than the whole of production so I will start to get a better idea of a launch window. I'm still on the fence for the idea of a preview demo for content creators as it would take away from development time. But if something strikes me as easy enough to gate off and create a demo, I'll consider it. The Subject - Weekly round-up 10/9There is a hurricane on the way but it looks like it's going to miss us now which is great because it means I get to keep working. Hey there! Welcome to another weekly roundup! Old gross doors! and replace them with new ones that are animated and hooked up into the game. Sweet new doors that you and your family will love! 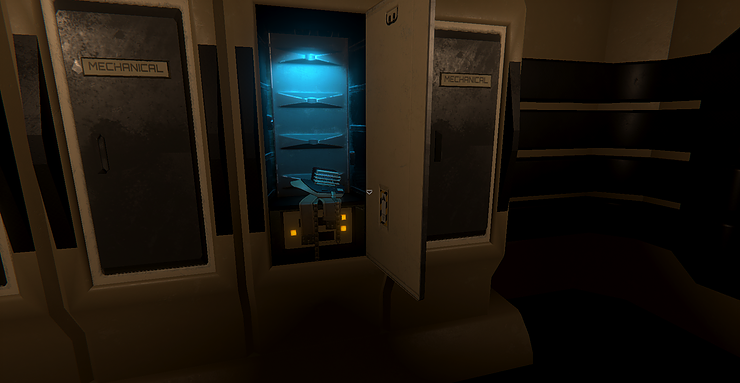 Though I have been very door focused, I have managed to start working on some additional puzzles and various additions to the game that will add to the creepiness factor. 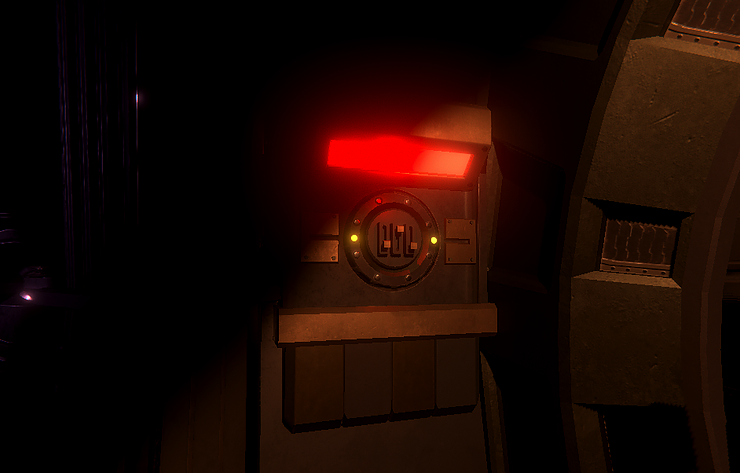 Right now, the game has a dark and isolated setting with a creepy monster and all that which is great but, from the start, I have had a secondary set of ideas meant to be implemented to layer on the more dark tones and maybe give a bit more life to the history of the facility. So I'm very happy to be finally hitting that point. Most of that work will be secret and not streamed too heavily as I don't want every aspect of the game to be public knowledge. More interesting stuff to come next week! I think I will finally be able to announce something that I think is kinda cool. We'll see. Hey all! Welcome back to another summery of a week in development of The Subject. Remember to head over to the DSD youtube channel and see the weekly development video there! The last week I've been busy improving Monster behavior in Unity. I've done a lot of work on a new nav mesh to help define where the monster can travel and how the monster sees the player. He is much more responsive now and I'm pretty happy with the results. I also spent a great deal of time hooking up the animations in Unity to get them to transition well. I still have a handful of animations to make and a lot of polish, but they are coming in and getting hooked up to various systems. In addition to the new behaviors, I've started working on reactions to the player beyond line of sight and a few under the hood mechanisms. A good example is the new hide system improvements where you can be spotted by the monster based on certain elements. Props! 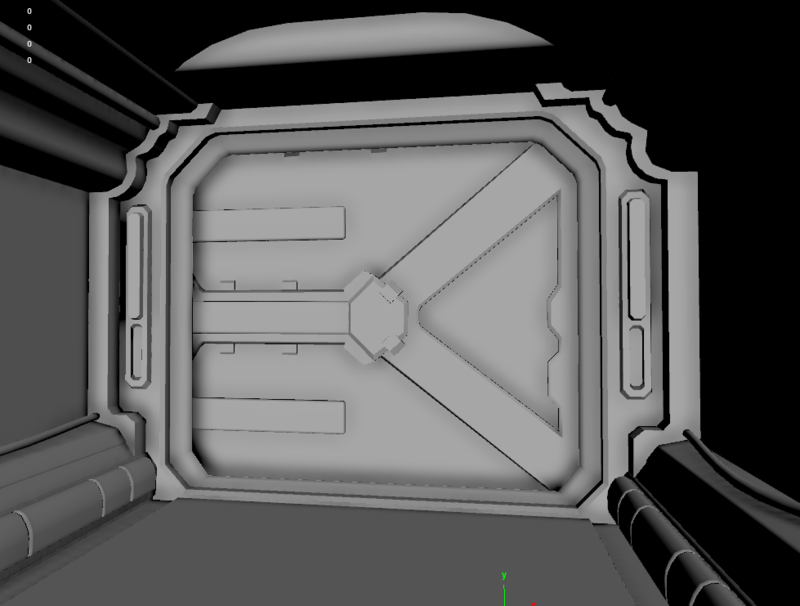 I'm finally working on some of the additional elements for the environment in Maya, I'm going to be working on all the different doors first as they are still part of game play and then I'll work on various buttons, lights, and modular prop sets like pipes, and panels. 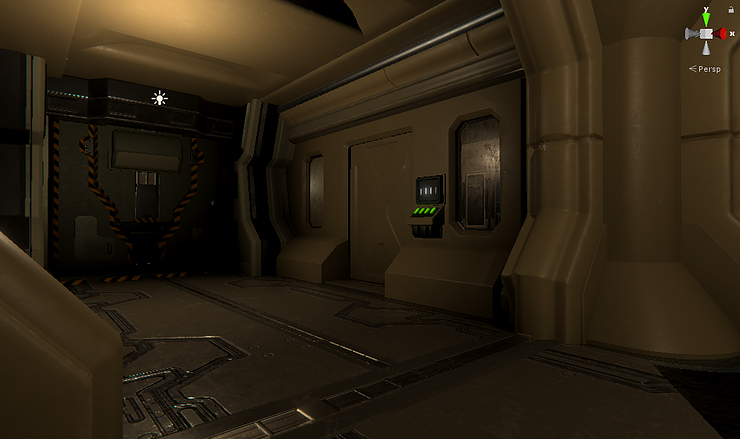 The game should take on a very different look after I finish the new props and take another pass over the environment. New door from yesterdays steam, should be done todayI also have a plan for new puzzles that will be added. Not too many more though as I want to focus on quality. However, I'm hoping these will all come together really quickly now that base systems are in place. Some pretty awesome stuff should be happening soon! Until next time! Hey there! Another week has passed and more work has gotten done on The Subject! 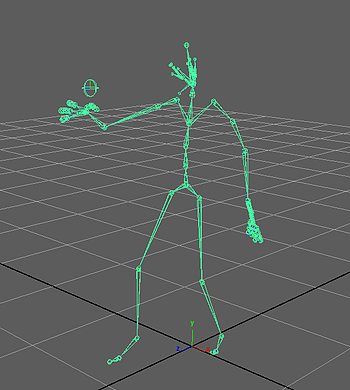 I spent the past week rigging the monster and getting it all setup in Unity. The animations are nothing fantastic but they let me get the base systems setup which is a HUGE thing. What's coming next is a BUNCH of new work on the monster system in Unity. Currently, the monster will react to the fact that you are hiding and that's about it but I will be putting things like your flashlight usage, walking, running, and more as factors into how the monster behaves. The first step is to get the animation system all hooked up and working with the monster chase code but when that is in place, I can really start tweaking things. I also have some neat news coming up. I can't talk about it yet but I think it will be pretty cool so keep checking back! 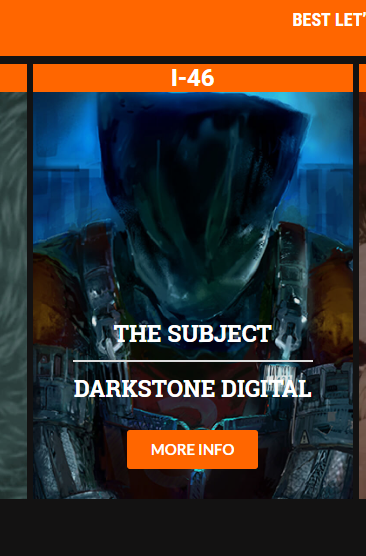 As always, if you like where things are going with The Subject and DarkStone in general, please share these posts, follow on twitter and Instagram, watch live on mixer, and be sure to check out the Patreon for all kinds of neat stuff. See you next time! Welcome to the first of the weekly roundups for The Subject! I want to set aside some time each week to give a bit of a summary of the work I've done. I have spent a good deal of time the past week working on bug fixes and improvements to the tutorial so when I submit a build to dreamhack, it's as polished as I can get it. I still have until the 28th to get things really gussied up but I'd rather get things out sooner than later so I am not pushing the envelope. Dreamhack is in Atlanta from Nov. 16 to 18 and if they choose my game, it means I will get a free booth in the indie playground for the entire event which is pretty awesome. Obviously, I will post here and other places if I end up going there. I have finally gotten to get some work done on the monster. 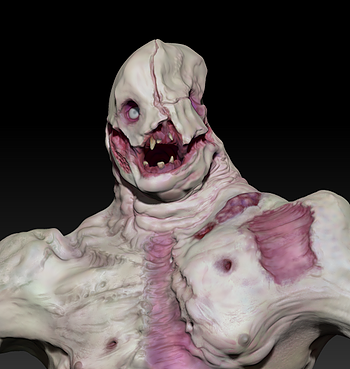 I've finished the high-poly in zbrush and did a first pass of texturing there. 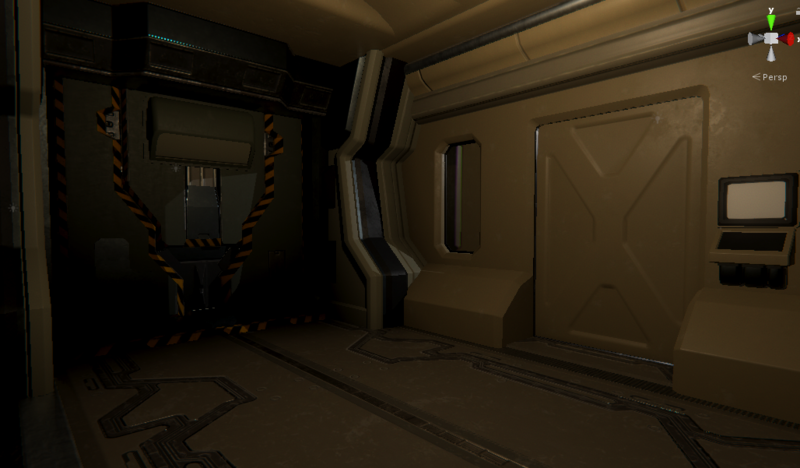 The next step is to make a game-res version to bring into Substance, animate, and port to the Unity engine. Once the monster is in Unity, I can start re-building the AI for it and get a much better experience with the monster. 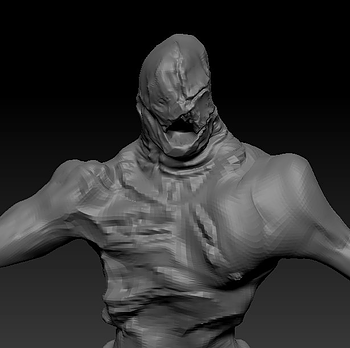 Below the textured verson, you can see the original sculpting sketch done in Zbrush last week. Along with the other tutorial work, I did a little bit of polish in Unity on the title screen and the intro sequence itself. Obviously far from done as Unity's base UI elements are there still but it's looking better! 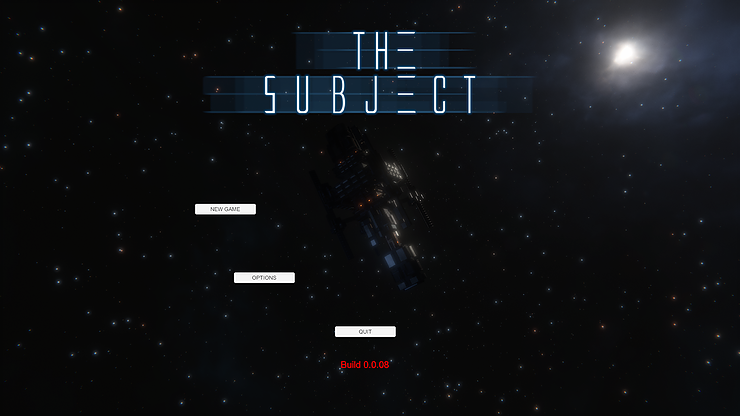 The new WIP title page for The Subject in UnityMore to come next week! Thanks for reading and I hope to see you during the streams on Mixer or Twitch!